Neon colors trend is everywhere this summer. If you still haven't tried it, then I highly recommend to do so this year. 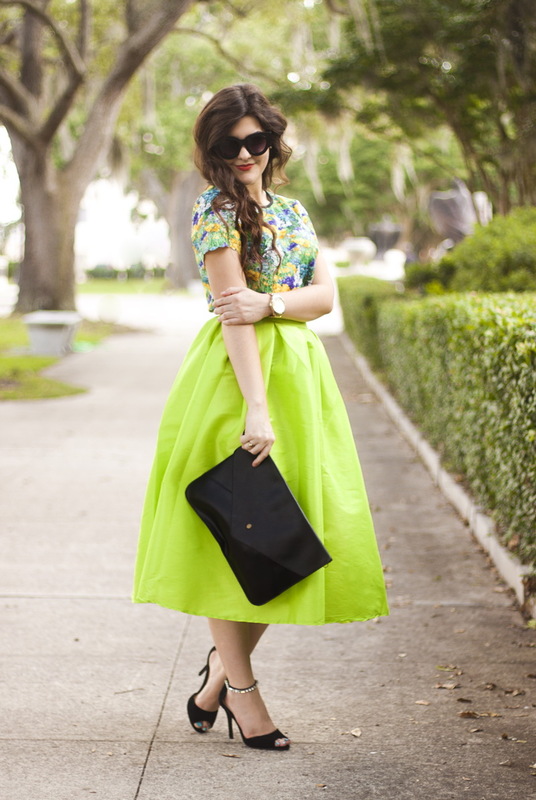 In this post I am going to show you my favorite outfits what feature neon color garments. You are going to find out what to wear with neon color, what to occasion neon colors are appropriate for. Make it fresh and chic by wearing a spaghetti strap tank top in light yellow paired with high-rise knee-length skirt and a pair of Birkenstocks. Thanks to modern designer brands we have chance to see brightest style ideas on how to incorporate neon shades with our everyday looks. When I see bright neons I automatically think of my childhood and something fresh, juicy and punchy. If you are not familiar with neons, then I recommend to combine only one piece with black or white outfits, the pops of neon will for sure make you noticeable. Personally, I love to see babes wearing LBDs with acid-yellow heels, looks awesome.